The importance of flexibility in production is increasing. Quick and simple adaptation to new products is dictated by the market, which is fast and ruthless. Many times, flexibility or adjustability is of key importance for success. The advantage of the TSG transfer system is its flexibility. The advantages of the MiniTec kit systems for machine manufacture in combination with the accuracy of linear components are a guarantee of a good product. TSG is completely compatible with other MiniTec systems including workstations, guards, conveyors etc. Manual workstations and complex automated processes can be integrated into the TSG transfer system. The TSG system is composed of standard modules that can be used in several ways, one of which will surely meet your requirements. The robust 25T5 tooth belt with steel reinforcements ensures a long service life without the requirement to re-tension of the belts. 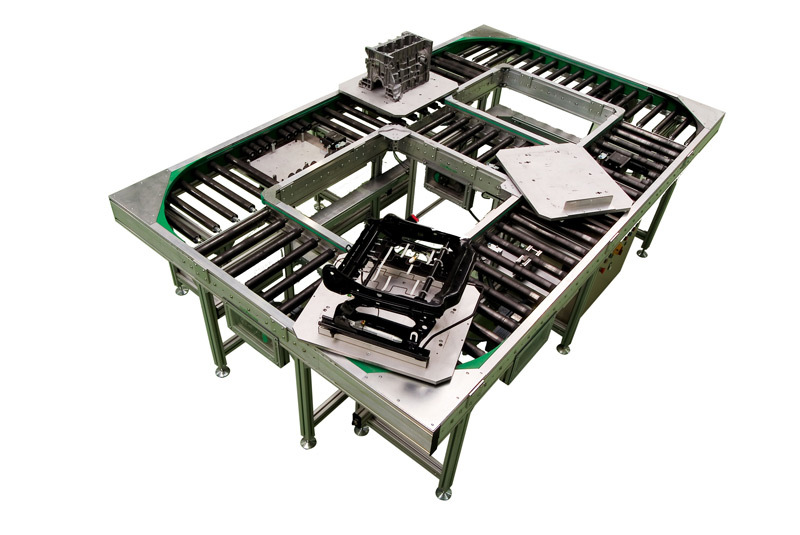 The TSG system is available in components that are ready for assembly or preassembled. We also offer the complete implementation and construction of your project, taking into account all your requirements and wishes. 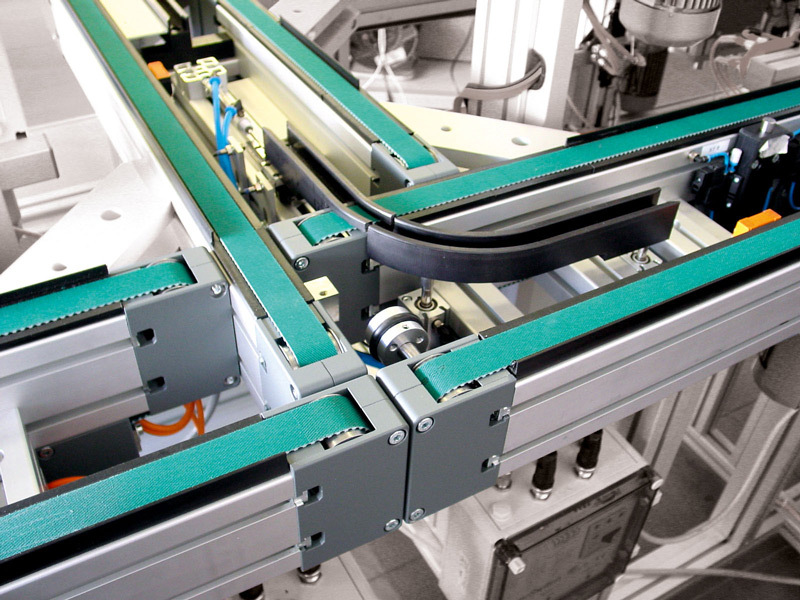 Transfer system with a flat-top belt or conveyor chain. 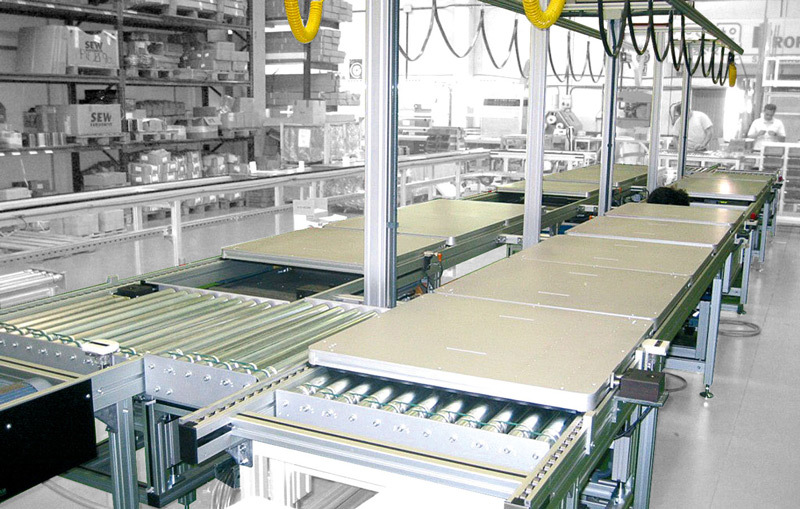 Transfer system with conveyor rollers.